Not getting the notifications you want? This article explains how to customize your notification settings for email, text, and push. 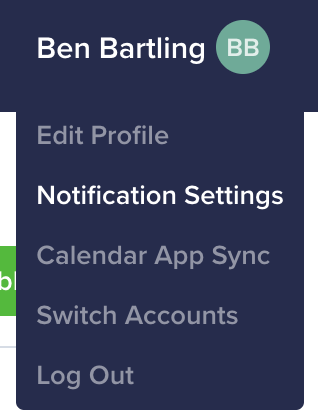 To edit your notification settings, click on your name and click Notification Settings. Note: Some of the following options are only visible to supervisors. Check or uncheck the options to enable or disable notifications and submit the form.